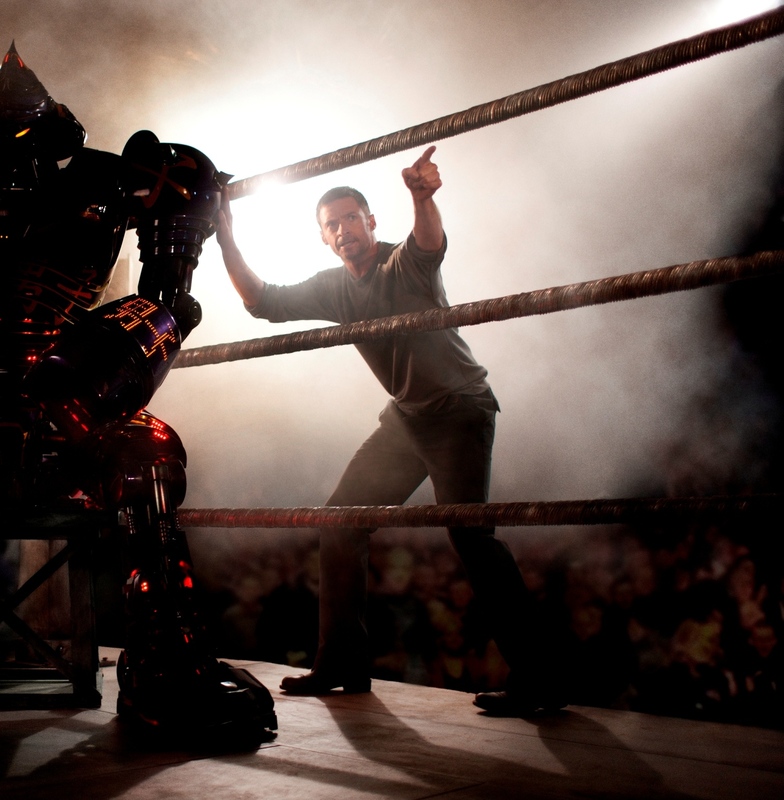 "Real Steel" is set 10 years into the future and sees human boxing outlawed and Jackman's character, a former boxer, becoming a promoter/coach for an once power house boxing robot named Atom. The film will also focus on a father and son redeveloping their relationship while coaching/working on Atom. Jackman's character left the child at birth and after his mother dies, he is left to raise his son. Playing Hugh Jackman's son is 10 year-old actor Dakota Goyo (Defendor). Jackman tells USA Today a little bit about the relationship the father and son will have. He said, "We have a lot of distance to make up. It's through this mutual interest in robot boxing that they find a way to come together and form a bond." I have to admit that "Real Steel" has some of the right concept that get me excited. The movie sounds a lot like a futuristic version of The Champ, a film I will still watch from time to time (not mention shed a few tears). Director Shawn Levy likened the movie to how men bond. He said, "Guys bond through activities. Men, and fathers and sons, find connections through doing projects." What gets me really excited about this project is the fact that the movie intends to use practical effects mixed with motion capture. What exactly does that mean? It means that the Dreamworks/Touchstone has built 19 animatronic robot boxers. These robots stand at 8 feet tall and will be utilized in many of the non action orientated sequences. Levy will of course use motion capture for much of the fighting that will happen on screen come November 2011. 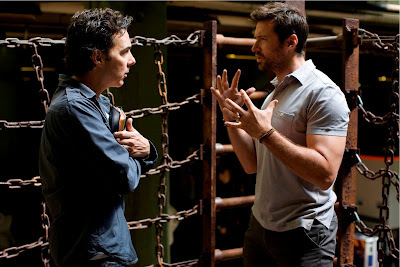 The simplistic approach to this movie is just Rock 'Em Sock 'Em Robots, but much of what Hugh Jackman and Shawn Levy have said to promote the movie has me fairly excited. Sure much of it is just positioning, but call me a simpleton, cause I'm intrigued. Stay tuned for more on "Real Steel" as production develops.